Abridged is an installation that simultaneously collapses and expands two distinct locations - a concert hall and the interior of a reflective structure located within the building. Within a reflective rectangular prism, two separate locations are merged together in infinite regress within its centre. Using live video feeds and reflection, there are two sources of imagery that are reflected within the structure. 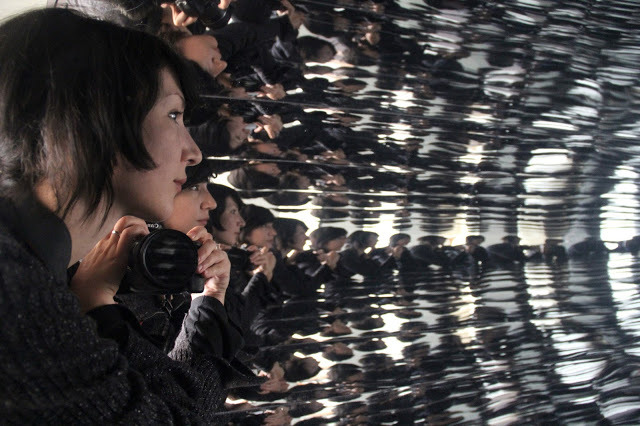 One comes from an aperture at one end of the structure, where viewers can peer in and can choose whether to enter. The other reflected image derives from a video monitor located at the opposite end, which is smaller in scale, covertly placed behind a one way mirror. The monitor is activated by sound, and reveals the view of audience seating within a theatre. The receding scale of the reflective structure results in a mirrored-sphere configuration at the narrow end. The acrylic used as a mirror has an irregular surface, reflecting nonuniform angles, creating a watery, crystalline bleed where the distinctive sites meet. A projection located on the mainstage of the theatre itself explodes the small confines of the prism, playing with scale, public and private, performer and audience. 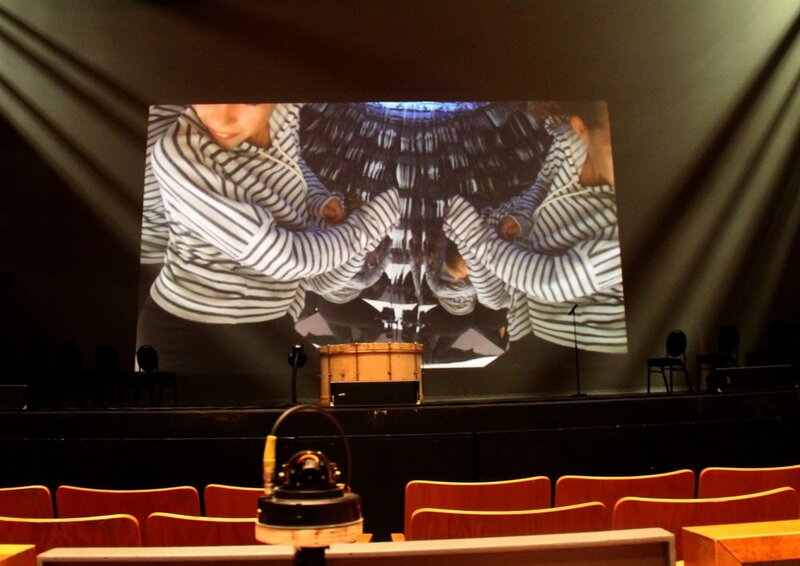 Cameras and microphones are located both within the physical structure of the rectangular prism and within the audience of the theatre, allowing viewers and the audience to inhabit both sites, to communicate with or observe each other, joining the concert hall and the space of the prism together in a the crystalline reflections. When the viewers speak their voice alters reverberate as though in a chasm. The audio affects the opacity and hue of the video feed, furthering the impact and melding of space.